Directly collect your ticket, hop on the bus at the airport—and save time and energy! excellent. just show your klook qr code n you.can get the next available bus slot. comfy bus seat with USB slot. When you arrive in Taiwan, the last thing you want to do is worry about how to get from the airport to your hotel. 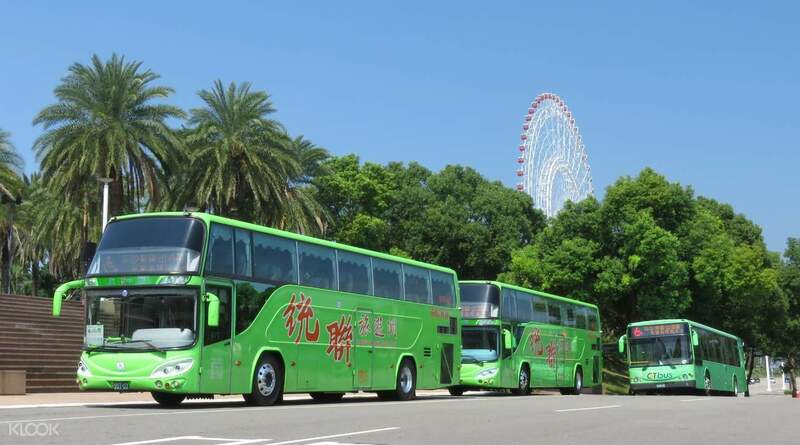 Fortunately, you can enjoy a comfortable and affordable trip between Taiwan Taoyuan International Airport and Taichung with this shared transfer service by Ubus! This service will not only prioritize your safety, but will also ensure a memorable journey on Taiwan soil so you won't have to worry about anything else. As shuttles come and go every 15 minutes to an hour, you don't need to wait too long for your ride, and you will be at your destination much faster than taking public transport! Going to and from the airport has never been this easy—and affordable. 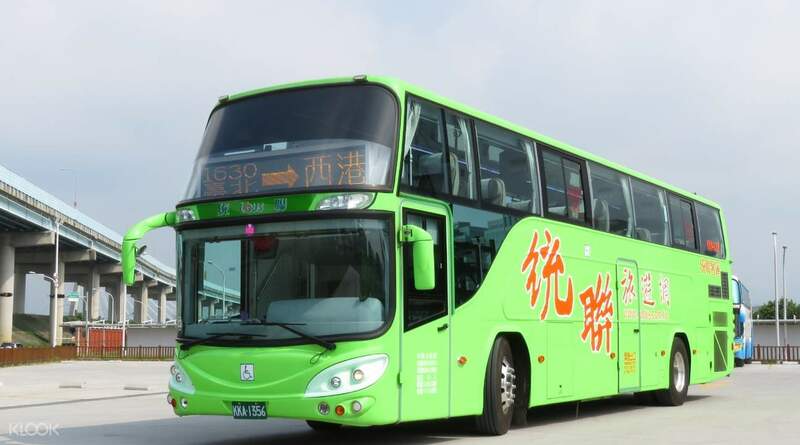 Enjoy a comfortable visit to Taichung by booking this transfer by shuttle bus! Redeem your ticket at 4 convenient locations, and stop worrying about transfers! 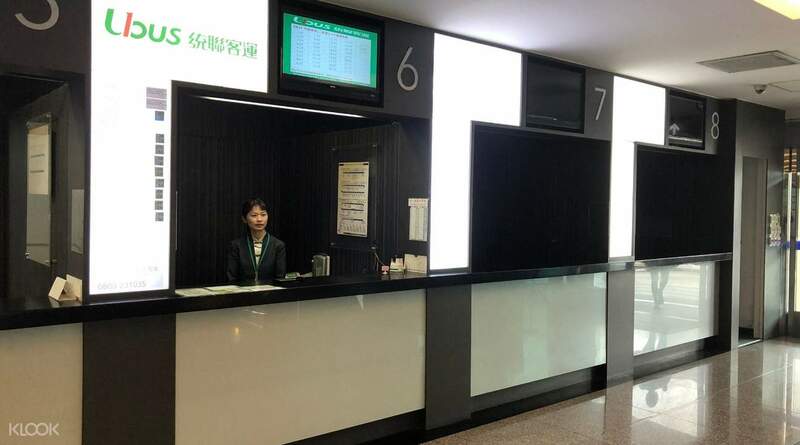 Bought two tickets for roundtrip Taoyuan Airport-Taichung Bus Station. Trip duration per way was 2.5 hours at most. Ride was comfortable, with reclining seats and USB port for charging. Bus station in Taichung is just beside the Taichung TRA Station so it's very convenient to book the airport tranfers. 3rd image shows the bus station and a part of the TRA station's roof--that's how near it is to each other. Bought two tickets for roundtrip Taoyuan Airport-Taichung Bus Station. Trip duration per way was 2.5 hours at most. Ride was comfortable, with reclining seats and USB port for charging. Bus station in Taichung is just beside the Taichung TRA Station so it's very convenient to book the airport tranfers. 3rd image shows the bus station and a part of the TRA station's roof--that's how near it is to each other. Very easy to book and redeem! Just present the mobile voucher at the Ubus counter in B1 of Taoyuan airport. I arrived past 1 am and was able to book the 3am trip to Taichung. Journey took a little over 2 hours. Very convenient, spacious, and clean bus. It even had a USB port for charging. Announcements are also made in English. The Ubus terminal is just a stone-away from my hotel in Taichung so this was definitely a plus for me. Will definitely book again! Very easy to book and redeem! Just present the mobile voucher at the Ubus counter in B1 of Taoyuan airport. I arrived past 1 am and was able to book the 3am trip to Taichung. Journey took a little over 2 hours. Very convenient, spacious, and clean bus. It even had a USB port for charging. Announcements are also made in English. The Ubus terminal is just a stone-away from my hotel in Taichung so this was definitely a plus for me. Will definitely book again! Our transfer from Taoyuan airport to Taichung was so swift because of this. Made it really really convenient for us! It was also very easy to get the ticket from the counter, you just have to show the voucher and the attendant already knows. Thanks klook! Would highly recommend! Our transfer from Taoyuan airport to Taichung was so swift because of this. Made it really really convenient for us! It was also very easy to get the ticket from the counter, you just have to show the voucher and the attendant already knows. Thanks klook! Would highly recommend! Very convenient just go to the ticket counter and show tour mobile voucher and they will give you a physical ticket.. bus schedule is every 30 minutes interval.. Very convenient just go to the ticket counter and show tour mobile voucher and they will give you a physical ticket.. bus schedule is every 30 minutes interval..
Ubus counter personel not sure of what to do to at first though he's very accommodating. Bus reaaly on time, my bus timing was 5:15am, try to ask counter as there is also 4:25 am bus that leaves to taichung. I was all alone in the bus as if i rented it Yay! Drive tried his best to understand me, even showed him google map to show where I need to alight but he really never understood. I went down the bus far to my destnation, its fine me though as I was able to roam around. Thanks to google map i was able to locate it may own. Ubus counter personel not sure of what to do to at first though he's very accommodating. Bus reaaly on time, my bus timing was 5:15am, try to ask counter as there is also 4:25 am bus that leaves to taichung. I was all alone in the bus as if i rented it Yay! Drive tried his best to understand me, even showed him google map to show where I need to alight but he really never understood. I went down the bus far to my destnation, its fine me though as I was able to roam around. Thanks to google map i was able to locate it may own. Just show my mobile voucher to the staff at Ubus counter and she just scanned it and then preparing us the physical tickets. It's really so fast and convenient for us! Just show my mobile voucher to the staff at Ubus counter and she just scanned it and then preparing us the physical tickets. It's really so fast and convenient for us! Easy to redeem and very convenient! The bus came on time and the ride was very comfortable and spacious with space for luggage as well. Easy to redeem and very convenient! The bus came on time and the ride was very comfortable and spacious with space for luggage as well.